Toronto’s richest new dessert is literally covered in gold. Eative Film Cafe, the same folks that introduced gold-leaf covered soft serve cones earlier this year, has just introduced this gilded new dessert: a slice of New York-style cheesecake covered in gold leaf. 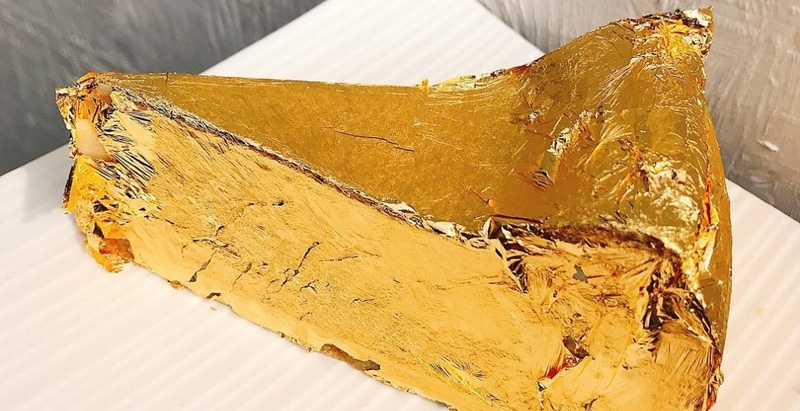 The ostentatious new gold-covered cheesecake is available in stores now and is priced at $20 per slice – still cheaper than the golden brownies ($100) that debuted in Montreal just last month.